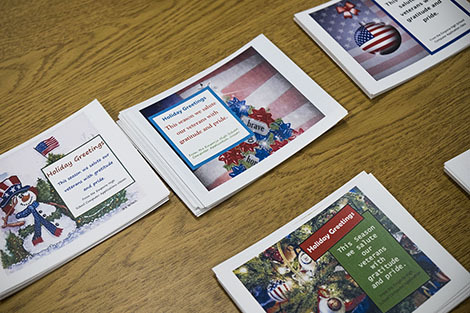 More than 135 veterans living in Emporia and the surrounding area will receive holiday greetings in the mail this month from Emporia High School students who created postcards and messages while learning new computer applications. 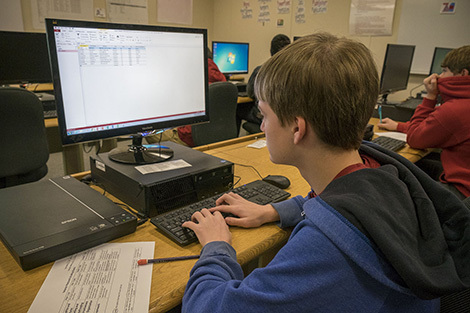 Students enrolled in Computer Applications have been working on the assignment the past two weeks and in the process learning several Microsoft Office applications. “I wanted to combine several competencies that I teach in my Computer Applications class,” said teacher Jana Marstall. The assignment covered how to create a database using Access, how to design a document in Publisher, use of valid internet sources for research, and how to complete a mail merge. Eventually, the list grew to about 190 names and addresses. 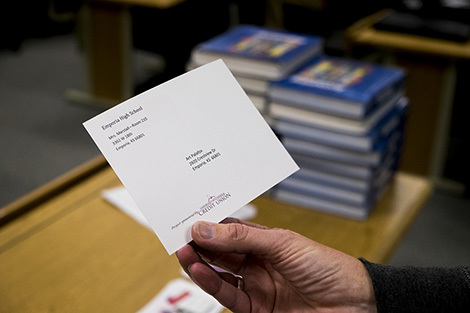 “The students practiced their internet research skills to locate mailing addresses for these veterans,” she said. Students worked in pairs to design the holiday postcards using Microsoft Publisher. Once the postcard was created, they used the mail merge feature to merge it with the Access database.